A home Inspection is an important way to discover the current condition of a home. 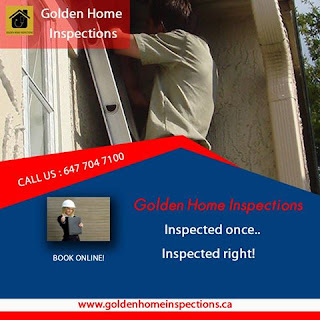 It is important to conduct a home inspection to avoid a costly mistake by purchasing a property in need of major repairs.... Golden home inspections will assist a buyer in understanding exactly what they are about to acquire. Are you currently buying or selling a home? Are you planning on moving? Would you want a home inspection service. then call us on 647-704-7100.